Owl Teacher decal -This owl teacher design is from our collection of our owl wall stickers. Use our classroom wall stickers to add decoration to your school! 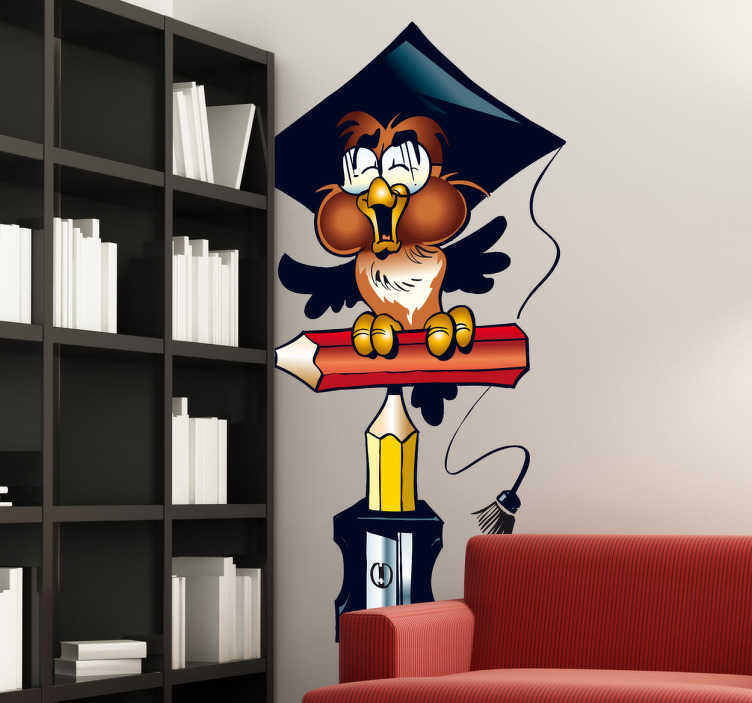 This fun design of an owl teacher creates a fun and friendly atmosphere anywhere it is placed. Children will love this fantastic design. Use the owl wall art to encourage kids in their school work and studies! This owl teacher sticker is available in many different sizes. It is also easy to apply on your wall and leaves no residue when removed.